Xiaomi Mi 5c has been in the blogosphere for the past few months for its leaked photos and benchmarking results. Now, another glimpse of the upcoming Xiaomi Mi 5c emerged on the Chinese social networking site, Weibo. 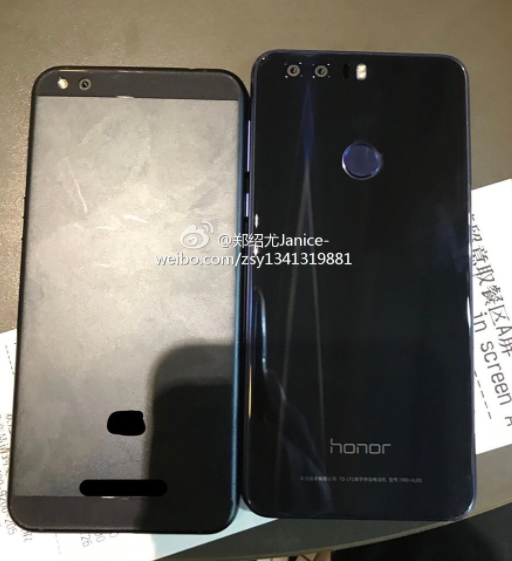 Rear side of the Mi 5c is clearly shown in the leaked picture along with the Honor 8 smartphone. Looking at the picture, single rear camera with an LED flash (probably dual tone) is fitted. If we compare, both the phones look same in size. Xiaomi Mi 5c has been also appeared on GFXBench recently revealing an Octa Core Mediatek processor coupled with 3GB of RAM with 64GB of internal storage. Camera-wise, the phone flaunts a 12-megapixel rear camera along with an 8-megapixel front camera. The phone runs on Android 7.1.1 Nougat. The upcoming Xiaomi Mi 5c appeared on several benchmarking sites including GeekBench. Xiaomi Mi 5c is expected to be unveiled at the upcoming MWC event in Barcelona.